This red wine is a blending of Carignan and Grenach grapes. The wines are about 30 - 40 years old. 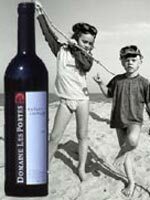 Our aim for "enfant sauvages" is a fruity wine which can be drunk young, but with a good tannin structure - a real "vin de plaisir". During fermentation we take care that the wine is nor too long in contact with the skins, after it is aged in concret tanks for about 9 months.